As you can see, the bouquet is exactly the same, even down to the colours. 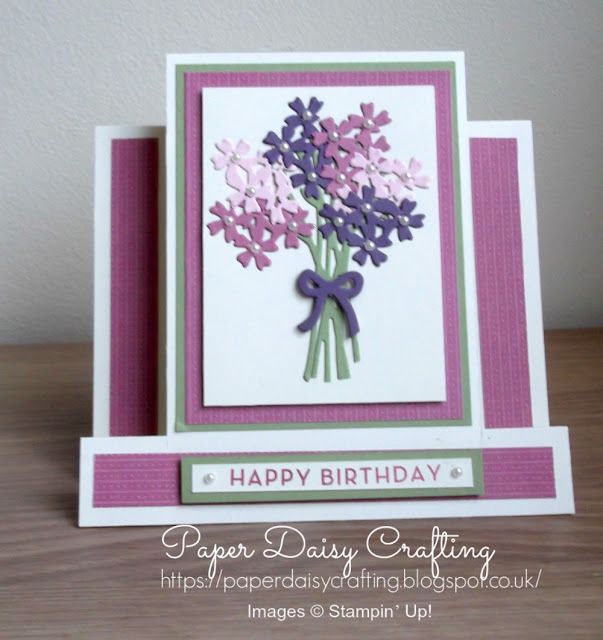 For today's card I had changed the base to a straightforward card blank rather than that fancy fold on the previous one. Can't believe that I had forgotten that first card though! 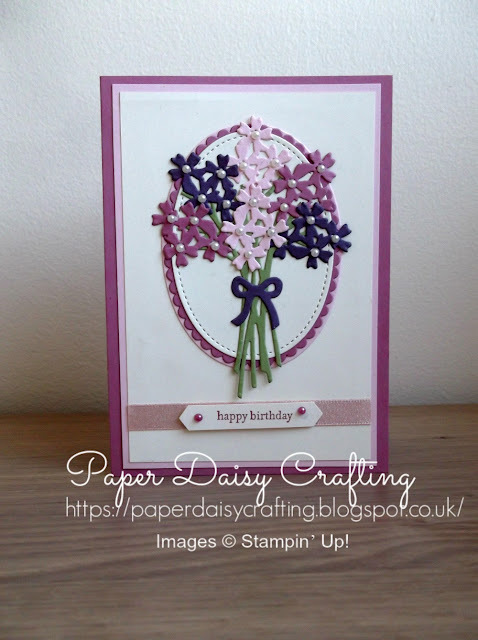 What I love about this card is the oval the bouquet is mounted on. 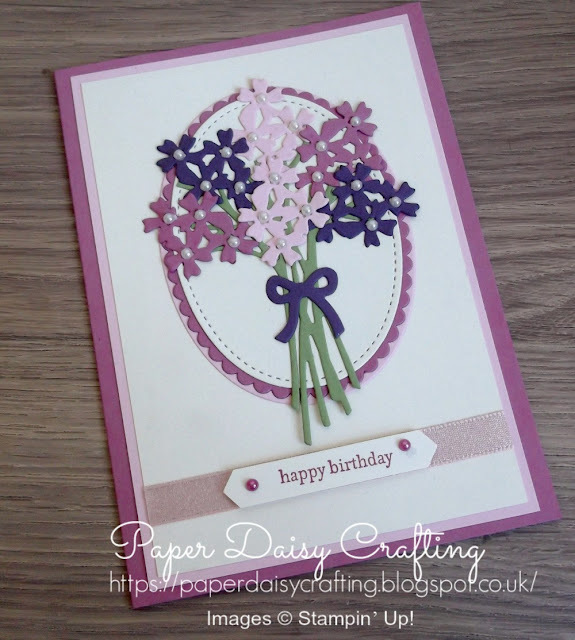 Three layer of card stock - a plain oval, a scalloped oval and a stitched oval. And I used the largest oval die for each from the die sets linked below. So pretty! I'm so sad that this trio of colours will be retiring. I love Sweet Sugarplum and Pink Pirouette. But I do understand that something has to go in order to make way for the new and there are some gorgeous new colours on the way. Would you like to see them? My new catalogues are due to arrive this week - if you'd like me to send one to you, just let me know - my email is under the "Contact" tab above. Can you spot the difference in the two cards above? On the first card, I got a mark on the Very Vanilla panel which I had to cover up/disguise so the Decorative Ribbon Border punch came to the rescue. There's no such thing as mistakes in crafting - just opportunities to improvise! Hope you like this pretty card. Back soon with another project.